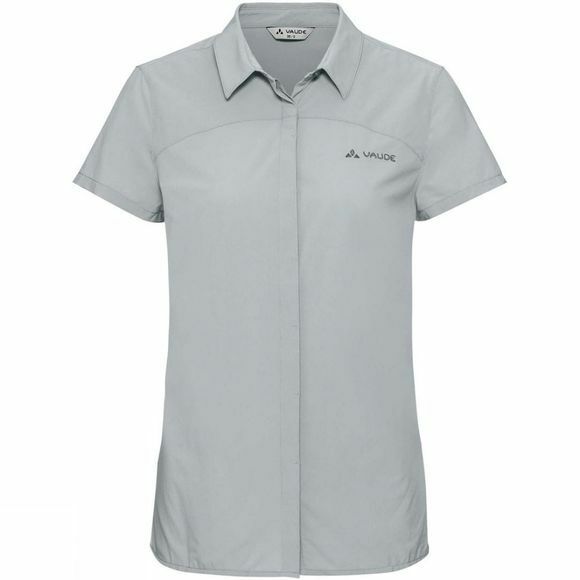 The Womens Skomer II Shirt from Vaude increases your freedom of movement: a comfortably soft blouse with a high percentage of stretch fibers for hiking and travel. 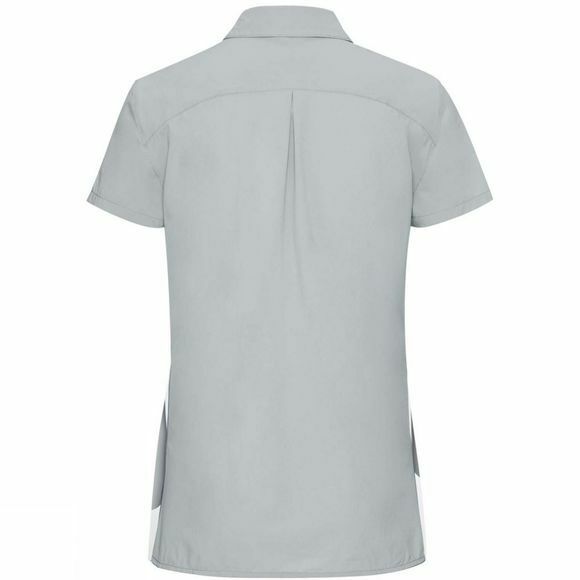 The premium fabric is exceptionally fast drying and ideal for warm and humid climate zones where you can count on sudden rain showers. The textile guarantees maximal skin-friendliness and environmentally-friendly manufacturing in accordance with the strict bluesignsystem standard. The Vaude Green Shape label stands for environmentally friendly, functional products made from sustainable materials.